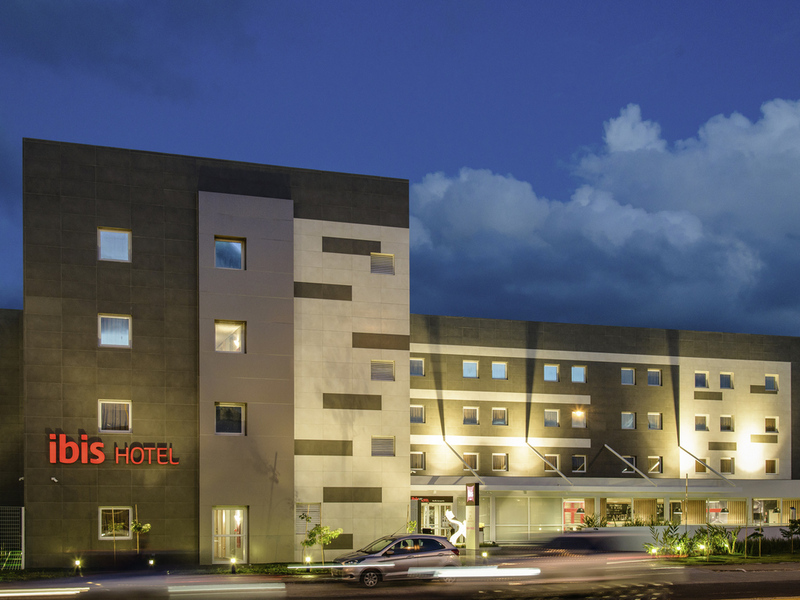 The ibis Recife Aeroporto hotel is located opposite Recife/Guararapes - Gilberto Freyre International Airport. It is 7.5 miles (12 km) from the city center, 14.3 miles (23 km) from Olinda, known for the traditional Pernambuco carnival, and 32.3 miles (52 km) from Porto de Galinhas (considered one of Brazil's most beautiful beaches). The hotel has 168 apartments, a 24-hour bar, restaurant and parking (payable separately). The hotel offers free WIFI and a laundry service. The ibis Kitchen Lounge is a shared space for our guests and is open 24 hours a day, serving hot and cold drinks, sandwiches and light snacks around the clock. The ideal place to meet up with friends, organize meetings and relax.